Ski-in/Ski-Out .. Incredible Unit, Slopeside! 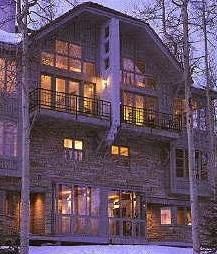 This elegant townhouse on the slopeside of Telluride mountain features breath-taking mountain views and the best ambiance in the region. This unit features a fully equipped kitchen, gas fireplace, cable T.V. with movie channels, steam shower, jetted Jacuzzi, raised ceiling, fully furnished, and is well appointed. The location is ideal--Not only is it Ski In/Out from the back door, but it's a 3 minute walk out the front door to the Mountain Village plaza where there is great shopping, dining and just a fun place to go for a leisurely amble. There is a free gondola in Mountain Village that takes you on a scenic ride to and from the village of Telluride. So, a vehicle is not needed, as everything is within easy walking distance from the condo. The car can stay in the garage! Telluride offers Music and Art festivals year round, and just a few steps away is the golf course! There is lots to do year round including XC skiing, snowmobiling, hot air ballooning, ice skating,hiking, biking, climbing and of course great shopping and dining! The gondola takes you from Mountain Village to the town of Telluride in just ten short and beautiful scenic minutes. Telluride provides a luxurious atmosphere, while maintaining its old world charm.